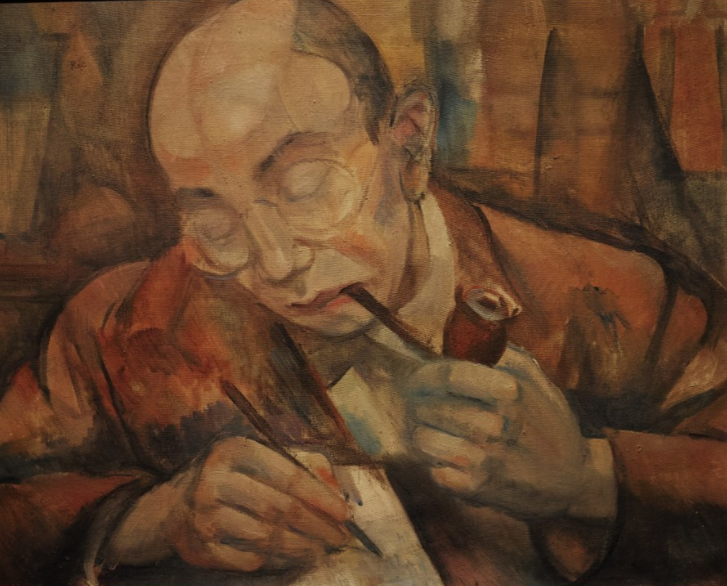 Carl Einstein (1885–1940), art historian, cultural critic, poet, and anti-Fascist, forms the starting point and anchor of the exhibition Neolithic Childhood. Art in a False Present, c. 1930. Up until now, the Carl-Einstein-Archiv, preserved at the Akademie der Künste, Berlin, has only been accessed by a small circle of researchers. Between Berlin and Paris the independently-minded intellectual—on the run from the Germans until his eventual suicide—displayed a radical productivity which proves disconcerting to this day. The restlessness emanating from Einstein’s texts is symptomatic of the multifarious crises which gripped the world from the 1920s to the 1940s. In particular, his published and unpublished writings from the late 1920s and 1930s stand for a radical shift in the function of art history, giving birth to a psycho-historical, materialist cultural history which, although a product of the burgeoning interdisciplinarity of his age, extends well beyond it. As the Akademie der Künste: “Carl Einstein did not see himself as an art scholar; instead he actively intervened in the debates on the art of today and tomorrow. He drew the criteria for assessing how contemporary art should be created from an analysis of the French avant-garde and African sculpture. Due to their incisive sharpness, his judgments were feared by German artists. An innate writer, Einstein loved aphoristic hyperbole. Within the framework of the exhibition “Neolithic Childhood”, part of the HKW long-term project “Kanon-Fragen”, it was of special concern to the Haus der Kulturen der Welt and the curators to initiate and support this important undertaking. In the framework of Kanon-Fragen, supported by the Federal Government Commissioner for Culture and the Media due to a ruling of the German Bundestag. Supported by the Akademie der Künste, Berlin. The digitalization of the Carl-Einstein-Archiv has been realized with funding from Haus der Kulturen der Welt within the framework of Kanon-Fragen. Haus der Kulturen der Welt is supported by the Federal Government Commissioner for Culture and the Media as well as by the Federal Foreign Office.